A mostly clear sky. Low 63F. Winds SE at 5 to 10 mph. One of the United States’ most endangered mammals, the Mexican gray wolf, can be found in only two states within our borders: Arizona and New Mexico. The last counts found just 114 left here and 31 in Mexico. The fate of the Mexican gray wolves is uncertain, but not because we don’t know how to save these magnificent creatures. As a wildlife biologist, I can tell you the steps we need to take are clear, if only the U.S. Fish and Wildlife Service would take them. But, to date, the agency has done too little to put the wolves on a solid path to recovery. These wolves once roamed from central and northern Mexico well into Arizona, New Mexico, Colorado, Texas and Utah. The extermination of the wild wolves began as an effort by private ranchers. It was completed by the U.S. Biological Survey in the U.S. and its successor organization, the USFWS, in Mexico. Today, the small number of wild wolves descend from just seven captive wolves that became the foundation for a U.S.-Mexico recovery program. The USFWS released a disappointing blueprint for wolf recovery last November. It sets a low bar, with a goal of just 320 wolves in the U.S. It keeps wolves confined to just one area within our borders, where they already are — in the Blue Range of eastern Arizona and western New Mexico. Unfortunately, nobody told the wolves to read signs telling them where to roam. The plan also fails to increase the wolves’ genetic diversity and puts most of the onus of recovering wolves on Mexico. The plan cannot stand as it is without undercutting the recovery of this iconic species. It is being challenged in a federal court in Tucson by a coalition of conservation groups. Back in 2010, a much better recovery plan was drafted based on sound guidance of leading wolf scientists, but it was discarded. That plan recommended a population goal of 750 in three locations, with vast public lands and adequate prey populations. Many see the wolf as an important creature that symbolizes nature at its best. Others have a spiritual connection to wolves. Yet a few others fear the impact of wolves on their livestock, even though only a small number of livestock are killed by them. When predators are endangered, their low population numbers impact much more than their own fate. Without enough wolves, their prey, such as deer and elk, can overgraze areas, reducing vegetation too much, in turn causing other consequences. For instance, a loss of vegetation cover can cause soil erosion, minimizing the absorption of rain water in the land and contributing to streams eventually drying up. Throughout my career in research and conservation of wildlife in the southwest U.S. and northwest Mexico, in addition to my volunteer efforts for local, regional and international conservation organizations, I have relied on scientific evidence to guide my conservation work, aided by traditional ecological knowledge and values. For the sake of the wolves, and the people who value their existence, I hope the recovery plan will be altered to do the same. 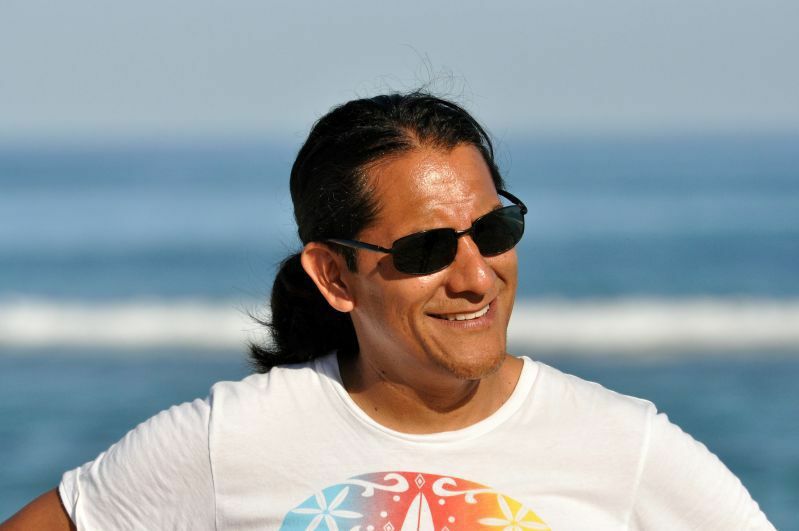 Sergio Avila has worked as a conservation scientist and wildlife biologist for more than 20 years for a variety of nonprofit organizations in northwest Mexico and the southwest United States. Is a Mexican gray wolf just another wolf, or is it a distinct and endangered breed of its own?